What did I learn during Learn @ Work Week? Learn @ Work Week, September 23-27, is an annual celebration recognizing the value of workplace learning and development in Canada. As I read the phrase, 'Learn @ Work', I wonder where else would I learn. But don't get me wrong. We learn all the time and we can learn anywhere. But when it comes to professional learning, we learn the most at work. Learning at work doesn't only mean attending a formal training session or a conference or attending a 2-day workshop once every six months. 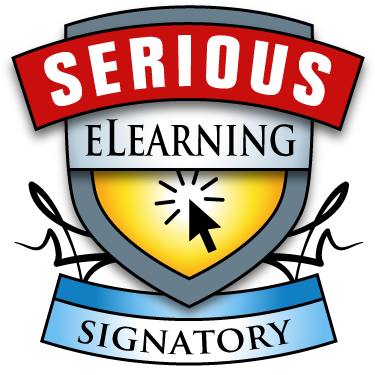 Learning at work means embedding learning into every task that you we do on a daily basis. There are many opportunities to learn at work especially when we are working on challenging assignments and projects. But these opportunities can be ad-hoc and may come far and apart. The goal of 'Learn @ Work' is to promote a culture of learning not only for this week but all year round by encouraging us to create and appreciate opportunities and learning events embedded in everyday work. So what did I learn in Learn @ Work Week? This week, I attended the #CSTD 'Vancouver: Our Workplace is Learning! Cracker Barrel Event'. 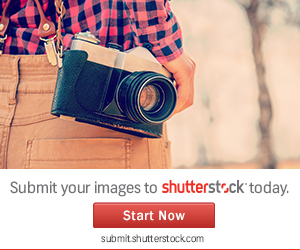 The format allows participants to pack learning in a single event. With 7 presenters and 10 minutes with each presenter, there was plenty to learn! The key takeaways are centered around what the presenters said. But are mostly based on my reflection from the questions asked during the presentation and my understanding drawn from the learning experience plus some research on the web after the learning event. 1) Kal Tire - spoke about onboarding and induction training and how it successfully used blended learning to reduce the onboarding time and make better managers; faster. From 44 months in 2006, onboarding training now is completed in 10.3 months! Key Takeaway >> Focus on day 1 and the first week at work to design onboarding training. Keep the onboarding training about work processes, basic safety and technical training. Introduce a career development plan for continuous learning and mentoring. 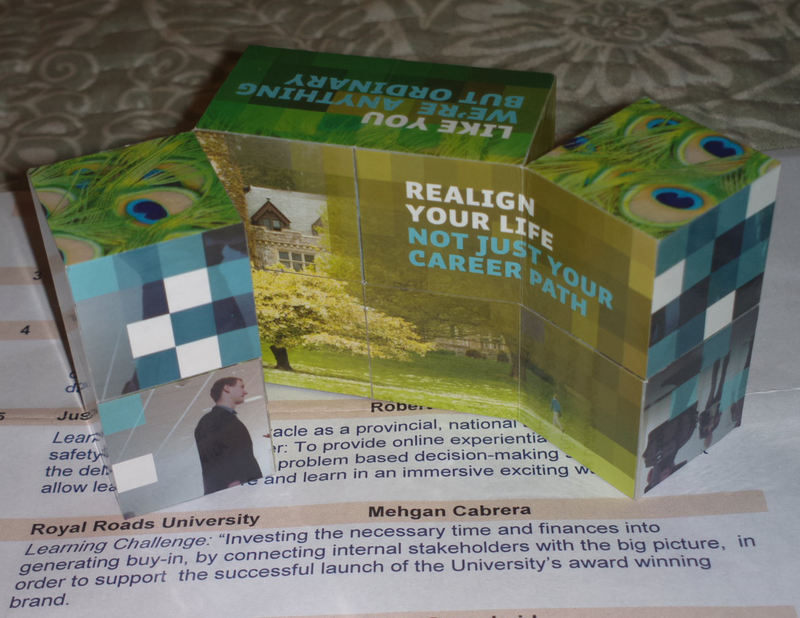 2) Royal Roads University - shared the challenges and successes with their re-branding and marketing initiative. Royal Roads University’s 2012 rebranding campaign won a prestigious global award for this initiative. 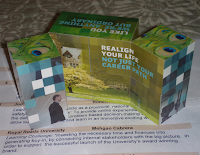 Loved the marketing material they shared, including the 'cube'! Key Takeaway >> Focus on generating buy-ins. Connect internal and external stakeholders towards the common objective. Re-branding is a lot about creating internal advocates who can 'get' the brand and help others 'get it'. 3) BC Center for Ability Association - discussed the challenges of using online learning with a diverse group and how best to still keep it an experiential learning experience. Key Takeaway >> E-learning has its place in this world but it can never replace face-to-face learning with a facilitator. As instructional designers, we need to identify the 'right mix' for the audience and training need. Key Takeaway >> The ability to create real-life scenarios and add real-time coaching and feedback by the mentor was a highlight of this tool. The tool was based on solving problems, making decisions (both individually and in groups), getting feedback and learning from mistakes - all the ingredient of the perfect learning material! Here's a case study of how Westminster Savings recently used Praxis to develop an earthquake scenario simulation to test their business continuity plan. 5) Seaspan - Spoke about the business and training needs of the shipbuilding and marine industry and how it is bringing together diverse groups within their company to join the path to continuous learning. Key Takeaway >> Even if 60% of the company staff doesn't have email-ids, learning can happen! :) The idea is to never let technology get in the way of a learning strategy. One of the objectives of the L&D/Training team is to build bridges between the various departments/divisions of an organization and help transfer best practices from one to another. 6) Prospera Credit Union - Spoke about employee career development training and 'how they made it stick'. It was interesting to see the learning challenge presented in the form of 'snakes and ladders'. 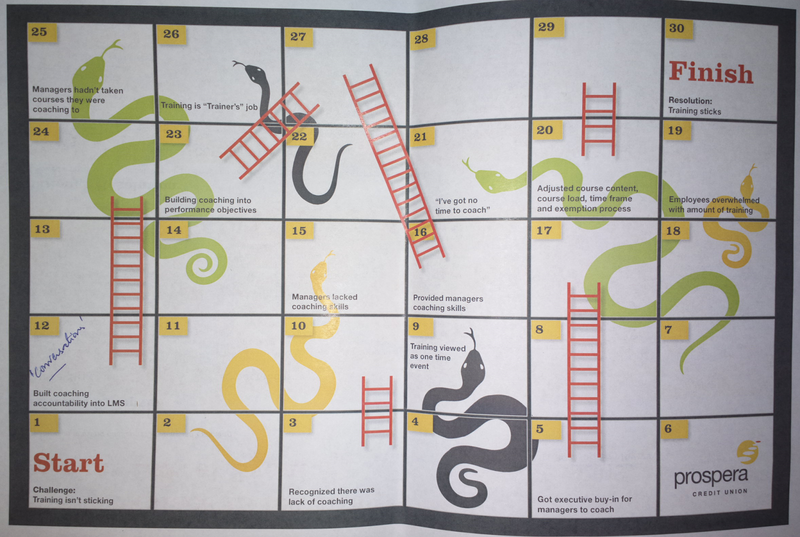 Snakes were typical training challenges and ladders were their small successes and wins along the way. This was my second favorite of the day. Key Takeaway >> All interventions come with known challenges and some unknown challenges. You need to design the training to overcome the knowns and then improvise to attack the unknowns. The solutions may not be dramatic or typical and infact may be very simple. The idea is to make small wins along the way. 7) Telus - Spoke about the culture of a learning organization and learning 2.0 and how to get learning to mobile and multi-generational workforce. Key Takeaway >> Learning has to be owned. For any organization, learning has to be a common philosophy that permeates the value system and organization culture. A new online resource has been launched to support Canadian employers, particularly in small and medium enterprises, in developing their workplace learning programs — Advancing Workplace Learning.